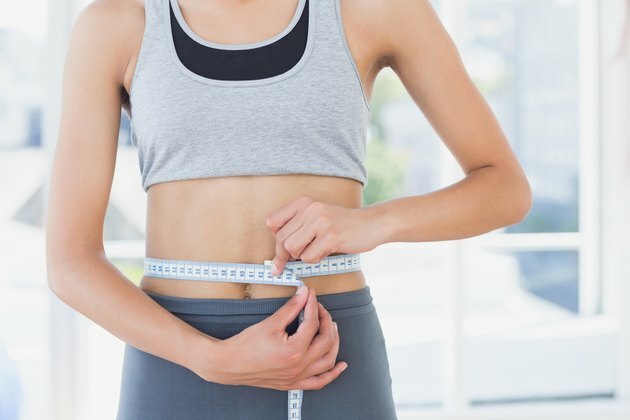 What Is a Dangerously Low BMI? Your body mass index, or BMI, depends on your weight and height, and gives you a general idea of whether you're at risk for an obesity-related illness. The BMI helps doctors quickly screen for serious issues with body weight, such as being underweight or overweight. If your BMI becomes dangerously low, such as less than 18.5, you are at greater risk for malnutrition and premature death. Speak with your doctor to discuss if your BMI presents a health risk. For adults aged 20 and older, a BMI less than 18.5 is low, and puts you in the danger zone. A number between 18.5 and 24.9 is a normal BMI; a BMI between 25 to 29.9 is overweight and a BMI of 30 and higher is obese. However, exceptions do exist for all these ranges. For example, people who are unable to walk, may have a low BMI because of muscle wasting, but this does not necessarily signal underweight. For children and teens, BMI is based on percentiles, using the growth charts from the Centers for Disease Control and Prevention. Being underweight or overweight is relative to others who are the same gender, age, height and weight; a girl or boy in the 5th percentile is considered underweight. The Centers for Disease Control offers an online percentile calculator for children and teens, which requires precise measurement within one quarter pound and within one eighth of an inch. It's possible that you may have had a prolonged illness or a medical treatment that caused you to drop weight, which reduced your BMI. Excessive stress, such as the death of a loved one, can also cause your weight to drop, which will cause your BMI to drop. Abusing drugs or alcohol, or being elderly, are other complicating factors. A doctor might examine you to determine if you have an underlying illness like celiac disease or if you have an overactive thyroid. Losing more than 5 percent of your weight during a six- to 12-month period indicates a problem, according to the NHS. Eating disorders can also result in a dangerously low BMI. A BMI of 16.5 or less is a potential marker for anorexia nervosa. In one study, the average BMI of patients admitted to hospitals in Japan with severe anorexia was 13.1. The results were published in the journal Eating and Weight Disorders in 2013. A low BMI is dangerous because it indicates you are likely not eating a balanced, nutritious diet full of fruit, vegetables, lean protein, dairy and whole grains. This puts you at risk for essential nutrient deficiencies that can have long-term consequences for your health. For example, inadequate calcium intake can lead to weakened bones and osteoporosis, in which your bones fracture easily. Too little vitamin C can result in immunity problems and chronic illness and a lack of vitamin A can bring on vision problems. Underweight women may experience fertility problems and disruption of their menstrual cycle. A low BMI also has implications for your overall mortality. In the Japanese study of anorexia, study subjects who had a BMI of 11 or lower died while in the hospital, despite medical intervention. A large study of Korean men and women conducted over 12 years found that overweight and underweight men and women had a higher risk of mortality than normal-weight individuals. Study subjects who had a low BMI had a greater chance of dying from respiratory illness than those who had a normal value. The report appeared in the New England Journal of Medicine in 2006. Results of a later study showed that a low BMI puts diabetics at greater risk for cardiovascular disease than diabetics who have normal BMIs or higher BMIs. Scientists presented the results in 2013 at the European Society of Cardiologists Congress. If you have a low BMI, consider consulting a dietitian. You will need to adjust your diet to put on weight so that you can come within a “normal” BMI range. Aim for 250 to 500 calories a day more than you usually eat, but stay away from empty calories from junk food and sodas, as these foods don’t provide good nutrition. It helps to eat slightly larger amounts at each meal or to distribute the extra calories over the course of several smaller meals. Foods such as nuts and nut butters; seeds and dried fruit; whole grains, avocado, dairy, olives and olive oil and protein foods are nutrient-dense, high-calorie foods that will help you meet your weight-gain goals. Combining dietary measures with strength training to build muscle can help address a low BMI. At What Weight Is a Person Considered Underweight? How does starvation affect high blood pressure?